An NHS trust has been told to improve services at a mental health unit where two patients took their own lives in the space of three months. 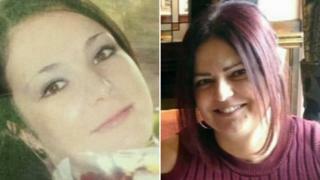 Ellie Brabant and Maria Duarte died at Southern Health Trust's Antelope House in Southampton in 2017 and 2018. The Care Quality Commission's (CQC) latest visit followed concerns about cleanliness, safety and care. The trust said it accepted improvements were needed but had made "significant changes" since the inspection. The unannounced visit in February was in response to concerns by patients, staff and the local leadership team, the CQC said. Inspectors found risks to patients' physical health were not always fully addressed, wards were understaffed and there were a number of vacant posts. The report noted a high level of staff sickness and, in one ward, low staff morale. Nine days before the inspection, the trust had implemented key changes in response to concerns, including new leadership, additional checks on safety and extra support for staff, the CQC said. The CQC told the trust to make improvements to its acute wards for adults of working age and psychiatric intensive care units. Responding to the report, trust clinical director Dr Adam Cox said staffing remained "a significant challenge facing the whole NHS" and action had been taken to recruit additional staff and "support and retain our existing colleagues". He said: "We fully accept that there are improvements to be made at Antelope House and we have already made significant changes at the unit since the inspection took place and indeed over a considerable period of time." An independent investigation in the wake of the deaths of Ms Duarte in January 2018 and Ms Brabant in November 2017 led to a number of "meaningful and ongoing changes", according to the trust.